Zhanjiang and the Inner Mongolian city of Chifeng have agreed to become sister cities and cross-promote each other's tourist attractions, at a ceremony announcing cooperation in many areas held on Nov 12. Residents of the southwestern Guangdong city will be encouraged to visit Chifeng in the Inner Mongolia autonomous region, to experience its many natural wonders and diverse culture. Zhanjiang and Chifeng agree to become sister cities at a cooperative framework agreement signing ceremony held in Zhanjiang on Nov 12. Products and specialties from Chifeng will also be openly promoted in Zhanjiang, such as dried beef, mutton, and rice. And Chifeng residents will be able to savor seafood and tropical fruits from Zhanjiang. The two cities will also work together to nurture talents across various professions and industries, through education exchanges and projects. 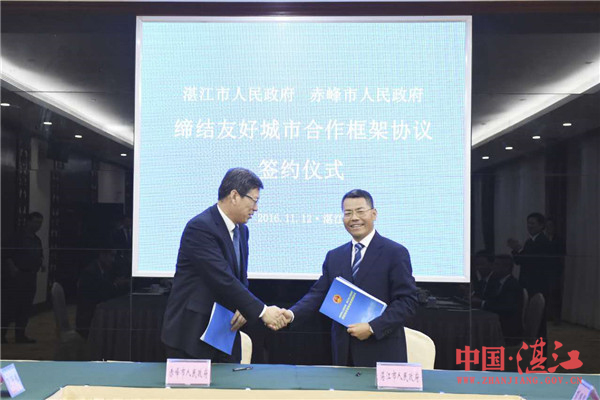 Zhanjiang Mayor Wang Zhongbing (R) signs an agreement with Chifeng Mayor Meng Xiandong (L) to seek further cooperation in commerce, tourism and talent nurturing. 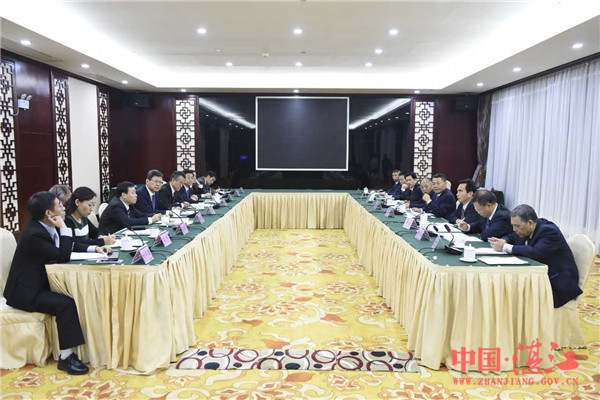 Despite the 3,000 km distance between Zhanjiang and Chifeng, both parties have agreed to take steps to remove regional barriers on medical insurance and housing funds. Chifeng is famous for its natural landscapes, such as the Gongger Grassland, regarded as a living fossil, and Arshihaty (Asihatu) Stone Forest geo-park.